Welcome to Bank Director’s Online Training Series and the unit on understanding interest rate risk. My name is Ben Lewis and I am managing director of business development for the financial institution advisory group at Chatham Financial, an advisory firm and technology solutions provider. The banking industry has endured an eight-year period of historically low interest rates since the financial crisis. The Federal Reserve finally increased the federal funds rate in December of 2015, by a modest 0.25 percent. As of August 2016, the benchmark federal funds rate hasn’t budged, holding steady between 0.25 and 0.5 percent. In July, the Federal Open Market Committee, or FOMC, indicated that the labor market is growing stronger, and near-term economic risks have diminished. These indicators will eventually impact Federal Reserve policy, and Fed officials, including Fed Chair Janet Yellen, have indicated that rates will rise gradually. When that happens—and it will happen—your bank needs to be prepared. In this video, I’ll explain how interest rates impact the typical bank. I’ll review the fundamentals of asset/liability management. I’ll also identify the questions that boards should be asking about the potential impact of rising rates on their institutions, and I’ll outline the solutions used by banks to address interest rate risk. The low interest rate environment has certainly pressured net interest margins for the nation’s banks. The net interest margin, or NIM, for all U.S. banks hit an historic low in the 1st quarter of 2015, at just under 3 percent, according to data from the Federal Reserve Bank of St. Louis. It isn’t much higher today. So a rise in rates should be a good thing for the industry, as banks can generate greater interest income on loans, right? However, that understanding overlooks the deposit side of the equation. As you’re probably aware, the net interest margin measures the difference between interest income, which is earned through interest earning assets, which typically is loans and the investment portfolio, and the interest paid to the bank’s liabilities, which is made up of deposits and wholesale funding. There is a strong correlation between short term rates and the rates that banks pay on deposit products, and though the level of complexity may change, this is the building block of interest rate risk for all banks, from the largest global organizations to small community institutions. Rates have been low for a long time, but this long period of low rates won’t last forever. Your bank can’t afford to be complacent. An article published by the Federal Reserve Bank of Kansas City in the third quarter of 2012 outlines four types of interest rate risk common for community banks. Number 1: Repricing or mismatch risk, which occurs when assets and liabilities reprice or mature at different times, or in different amounts, which narrows the net interest margin. This can negatively impact a bank’s earnings, capital and financial performance. Number 2: Basis risk, which occurs when the movement of different indices - LIBOR-based deposit rates and prime-based loan rates, for example - aren’t correlated, and narrows the net interest margin. Number 3: Prepayment or extension risks. Prepayment risk occurs as loan repayments increase during a period of low interest rates, which in turn negatively affect interest income. The opposite of this is extension risk. Longer payoff rates of assets in a rising rate environment then reduce the availability of funds, meaning the bank can’t invest at higher yields. And finally, number 4: Yield curve risk. The yield curve is the difference between short term rates and long term rates—for example, the federal funds rate versus the 10-year Treasury. As a general rule, rising short term rates and declining or flat long term rates lessen the margin between the two. A normal yield curve occurs when longer term rates are higher compared to short term rates, which is ideal as short term rates drive a bank’s cost of funds. Yield curve risk occurs due to unexpected changes in the yield curve. An inverted curve occurs when short term yields are higher than long term yields. In a flat yield curve, short and long term yields are similar. A bank’s interest rate risk program is only as good as its ability to identify, measure, monitor and control interest rate exposures. Your bank’s regulators expect risk limits and controls to reflect the board’s expectations for interest rate risk exposure, and should be explicitly defined as dollar limits—net interest income, for example—or percentage limits, such as changes to the Economic Value of Equity, or EVE, which measures the net present value of assets and liabilities. The bank also needs to have systems and standards in place to measure and monitor interest rate risk, appropriate to the complexity of the bank. Independent review of the bank’s interest rate risk management program, which can be done by a third party consultant or the bank’s internal audit function, if internal audit has the appropriate level of expertise. Regulators expect the board and senior management to review interest rate risk management strategies, policies, procedures and risk limits every year. The board and senior management must also review reports related to the bank’s interest rate risk at least quarterly. This isn’t just a regulatory expectation, but a sound approach to ensuring that everyone’s on top of this issue. According to the FDIC, these reports should allow for the identification of the sources and level of interest rate risk, and determine compliance with the bank’s policies and risk limits. The reports should also evaluate factors such as interest rate forecasts, deposit behaviors and loan prepayments. Many of the types of interest rate risk I’ve outlined tie to the basic fundamentals of asset/liability management. In addition to managing the bank’s liquidity and balance sheet, a key responsibility of the asset liability committee - an executive-staffed committee commonly referred to as ALCO - is to monitor how the bank will be affected when interest rates change, and manage interest rate risk in line with the bank’s strategic goals. The ALCO committee should include senior or mid-level representatives from all the bank’s business lines and major operations, but could include appropriate outside directors as well. The bank’s chief financial officer will probably set the agenda. The ALCO committee is expected to make recommendations to the board regarding the mitigation of interest rate risk. In its oversight of asset/liability management, the board should understand whether the bank is asset sensitive or liability sensitive. Rising rates could be detrimental for liability sensitive banks, which hold a greater concentration of long term assets, like fixed rate mortgages and commercial loans. These banks have benefited so far from low rates. But a significant increase in interest rates will increase these banks’ cost of funds, and negatively impact their earnings and capital position. The board needs to understand how decreasing or increasing rates will affect the bank’s earnings, given the bank’s sensitivity to a change in interest rates. If rates increase, how will the net interest margin be impacted? Will the bank make money, or lose money? A common calculation used by banks to determine the long term effect of changes in interest rates and how the bank’s capital position will be impacted, is the Economic Value of Equity, or EVE, which as I mentioned earlier, determines the net present value of assets and liabilities. Models based on EVE can help the board and management understand how changes in interest rates will impact the bank’s capital position. The board also needs to understand what’s in its investment portfolio, on the asset side of the balance sheet. This is something that impacts every bank, and management should be providing this information within the ALCO report received by the board. Bonds are very common, and safe, including U.S. Treasury bonds, mortgage-backed securities issued by Fannie Mae, Freddie Mac or Ginnie Mae, and municipal bonds. But does the bank hold any investments that may have a high yield but also carry more credit risk, such as corporate bonds? Your bank may have a reasonable strategy behind holding these bonds, but it’s the board’s responsibility to question and understand why the bank is making these investments. As short term rates increase, your customers’ expectations will rise regarding the interest earned on their deposits, particularly savings and money market accounts. If those rates don’t rise, you could lose customers to a competing institution. So by how much should your bank raise rates, and when? The deposit beta measures changes in deposit rates relative to interest rate changes. One common and potentially impactful mistake that banks make is to be overly optimistic with their deposit beta, meaning that management estimates that deposit rates will only go up a little bit when market rates increase. These banks assume that their deposits are sticky, and customers will be loyal. Board members need to understand the assumptions behind the bank’s deposit betas. In addition to your own bank’s historical data, consider working with a consultant to create a peer group of similar institutions. Also, run stress scenarios on the beta assumptions to see the impact to net interest income and EVE risk. Regulators will expect this. What is the interest rate scenario that will have the greatest impact on the bank’s net interest income over the next 12 months? And bull steepener, where short term rates decrease and long term rates stay about the same. Another possible scenario is a parallel shock, when short and long term rates increase by roughly the same amount. Given the current low levels of short and long term rates, the bear flattener and parallel shock scenarios are the most likely in today’s environment. How did interest rates and the yield curve move over the past 12 months? What is the impact to net interest income and EVE sensitivities to changes in the beta assumption on non-maturity deposits? And finally: How does the bank’s liquidity position perform in stress scenarios? As it relates to interest rate risk, these scenarios would look at rate shocks, including rapid and significant changes to interest rates, as well as prolonged changes; changes in the yield curve; and basis risk. Your bank’s understanding and management of its balance sheet within different rate scenarios is vital to its management of interest rate risk. Board and management should understand and anticipate likely scenarios for a potential rate increase. Prudent risk management considers the possible outcomes, and assigns probabilities to each scenario. The board needs to understand how each will in turn impact the balance sheet. There are three tools that banks can use to address interest rate risk. I’ll outline these now, so you’re aware of their benefits and drawbacks. First, your bank can make adjustments to its loan and deposit pricing and products. For example, if a bank is liability sensitive, with a high concentration of fixed rate loans, it can shift its strategy to adjustable rate loans. As the older fixed rate loans mature and roll off the balance sheet, the bank becomes less liability sensitive. You can also adjust deposit products and pricing. This is an important and relatively easy way to manage interest rate risk, but it has a couple of drawbacks. First, it takes a long time to move the older fixed rate loans off the balance sheet, as these take time to mature. Secondly, there are competitive pressures. Not all customers will want an adjustable rate loan. If your bank doesn’t offer the right product for the customer, they’ll just go to another provider. A second option to include in your bank’s toolkit involves making changes in your bank’s investment portfolio. This works more quickly than adjusting your bank’s loan and deposit products and pricing, as I just outlined, and won’t impact your bank’s ability to compete with other institutions. A liability sensitive bank may sell fixed rate bonds in its investment portfolio, and buy floating rate bonds, shifting its interest rate risk profile. Alternately, your bank can use wholesale funding. Instead of adjusting deposit pricing, a bank could borrow from a Federal Home Loan Bank at a fixed rate. But, used purely for the management of interest rate risk, both the purchase of bonds and the use of wholesale funding have the potential to gross up the balance sheet, making it bigger when it’s not necessary for the bank’s strategy. In that sense, it’s not always a practical solution on its own. Third, the prudent use of derivatives can be an effective solution to manage interest rate risk. Now, I know what you’re thinking. Didn’t derivatives contribute to the financial crisis? Well, yes and no. It’s true that derivatives like credit default swaps got some banks in trouble, but these banks were speculating on where the market would go. But derivatives such as interest rate swaps can be useful tools to manage your bank’s interest rate risk, along with the other tools I’ve mentioned. They have an immediate impact on the bank’s balance sheet, compared to changing the bank’s loan or deposit mix, but don’t affect the size of the balance sheet, as wholesale funding would. However, derivatives are more complex tools, and are not the bread and butter loans and deposits of a typical bank. A common derivative used by banks is an interest rate swap, which is an agreement between two parties to exchange interest rate payments. Simply put, one bank trades a set amount of fixed-rate cash flows for variable-rate cash flows, usually based on LIBOR, from another bank. So how does this help the financial institution to mitigate its risk? If a bank needs fixed rate funding for loan growth, it can borrow from the Federal Home Loan Bank on a variable rate basis and swap the borrowing to a fixed rate that is typically much lower than the equivalent fixed rate borrowing, for example. The interest cash flows of the borrowing and the swap cancel each other out, and the bank, during the term of the swap, has converted its variable rate borrowing to a fixed rate. If you use derivatives, you’ll need to have a policy in place, and guidelines and assumptions for the measurement of the associated risk involved with the use of this tool. Regulators will expect it. The board should review and approve the policy before the first transaction is executed. The board will also want to ensure compliance with regulations under the Dodd-Frank Act. The Securities & Exchange Commission regulates security-based swaps, which include interest rate swaps. Derivatives are traded over the counter, so the board should know whether the counterparty is also the advisor for the transaction. If so, is the bank comfortable with this potential conflict of interest? The board should also receive information on its derivative position within the ALCO report. Directors will want to ensure that it is performing as planned. This video today is just an introduction to these concepts. If you’re considering the use of derivatives to mitigate interest rate risk, I’d recommend that a third party advisor come in to educate your management team and board. 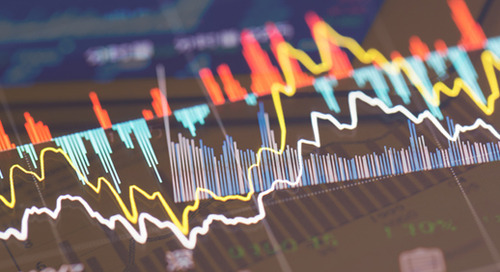 Understand the types of derivatives the banks should consider, and how they could positively and negatively influence the bank’s position in likely interest rate risk scenarios. And relevant bank staff and senior leadership need to have the knowledge and expertise to ensure that the bank’s interest rate risk isn’t elevated through the use of these tools. Let’s review some of the key concepts you’ll want to remember regarding interest rate risk. Interest rates have been historically low for the past eight years, and have pressured net interest margins for the banking industry. Interest rates will eventually rise, so your bank can’t afford to be complacent. Interest rate risk programs should identify, measure, monitor and control interest rate exposures, appropriate to the complexity of the bank. Risk limits should be specifically defined as dollars or percentages. And controls for mitigation tools such as derivatives. The board and senior management should review strategies, policies, procedures and risk limits annually. Reports related to the bank’s interest rate risk position should be reviewed at least quarterly. The board should be informed of its interest rate risk position by the ALCO committee. The ALCO committee can include directors, but should include all the bank’s major business lines and major operations. Boards must understand whether the institution is asset sensitive or liability sensitive. An inevitable increase in interest rates will negatively impact liability sensitive banks. Understand how a change in interest rates will affect earnings and the bank’s net interest margin. Models based on the Economic Value of Equity, or EVE, can help determine how a change in interest rates will affect the bank’s capital position. Understand what’s in the bank’s investment portfolio, and why. Customers will expect to earn more interest on their deposits in a rising rate environment. Don’t overestimate the loyalty of your customers, or the stickiness of your deposit base. Frankly, we don’t know how depositors will react as rates go up. Review the bank’s sensitivity to interest rate risk at least quarterly. Question management on the bank’s position. What interest rate scenario will have the likeliest impact on the bank’s net interest income? How did interest rates and the yield curve move over the prior 12 months? How will net interest income and EVE sensitivities change the bank’s expectations regarding deposits? How will the bank’s liquidity position perform in stress scenarios? Adjustments to loan and deposit pricing and products are relatively simple tools. However, the changes are slow to impact the balance sheet, and competitive pressures make them difficult to implement. Changing the investment portfolio or using wholesale funding will more quickly adjust the balance sheet, but it will also make it larger, meaning it’s not always a practical solution on its own. Derivatives can have an immediate impact without grossing up the balance sheet. These tools are more complex, so management and the board must be educated about their use. Derivatives aren’t risk-free. Establish policies, guidelines and assumptions to measure the associated risk of this tool. The board should receive information about its derivative position in the ALCO report. The banking industry has been amid a period of low interest rates for several years now. It’s easy to become complacent and ignore the possibility that rates will change. Make sure your board and management understands its interest rate risk position, and are finding solutions to address possible risks in your organization. Thank you for joining me for this Online Training Series video on understanding interest rate risk. This video was produced by Bank Director as part of their Online Training Series for bank boards of directors.